A panel discussion with former Missouri star Steve Stipanovich, former Illinois players Jerry Hester and Steve Lanter and new Missouri assistant coach Brad Loos will also take place. Watch the following video where Kansas State coach Bruce Weber speaks to the media at the Scottrade Center in St. Louis on March 20, 2014. 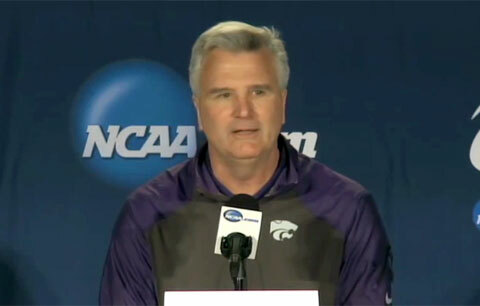 Bruce Weber is currently the men’s basketball head coach at Kansas State University. He was formerly head coach at Southern Illinois University and the University of Illinois. Playing Field Promotions is a booking agent for motivational sports speakers and celebrities. If you would like to book Bruce Weber for a speaking engagement or personal appearance, contact Bruce Weber’s booking agent for appearance & speaker fees at 1.800.966.1380.